After the wedding enters the honeymoon, the expected celebration of the consummation of love! This romantic celebration must be prepared and planned in advance, and it´s very important to choose the right place to celebrate it. If you are looking for a country that offers good weather, tasty food and affordable prices, you should consider to include Spain in your list. But if what you are really looking for is a romantic place in order to celebrate your honeymoon, then Seville is the place to be! The capital of Andalusia is a millennia city full of beautiful monuments. It has loads of beautiful places that will provide you the perfect stunning background for your romantic celebration. Besides, you will find a wide range of activities and things to do in Seville if you just got married. So you won´t get bored! 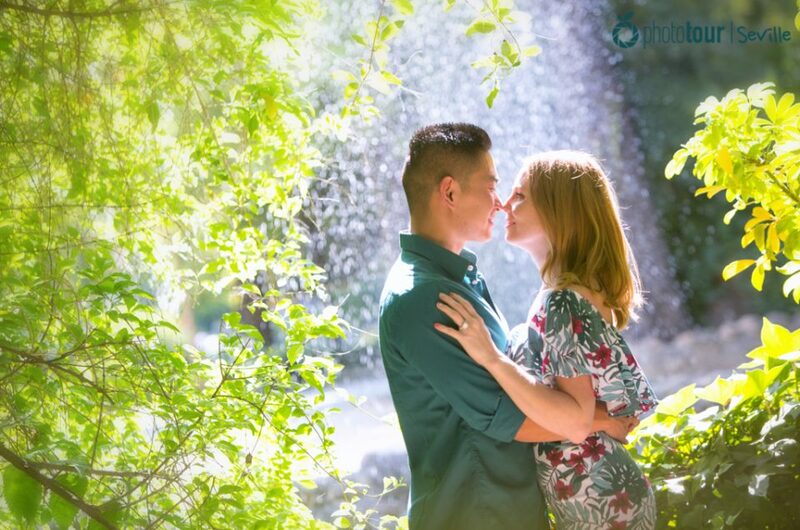 In order to help you out to choose the right place to celebrate your honeymoon in Seville, we have elaborated a list of its most romantic places. Have a look! One must-seen place you need to go in Seville if you just got married is the legendary Jewish neighborhood of Santa Cruz. This historical “barrio” was home of hundreds of Jewish that were living in Seville. Thus, they left a beautiful heritage around the streets that fits as a perfect background to celebrate your honeymoon. 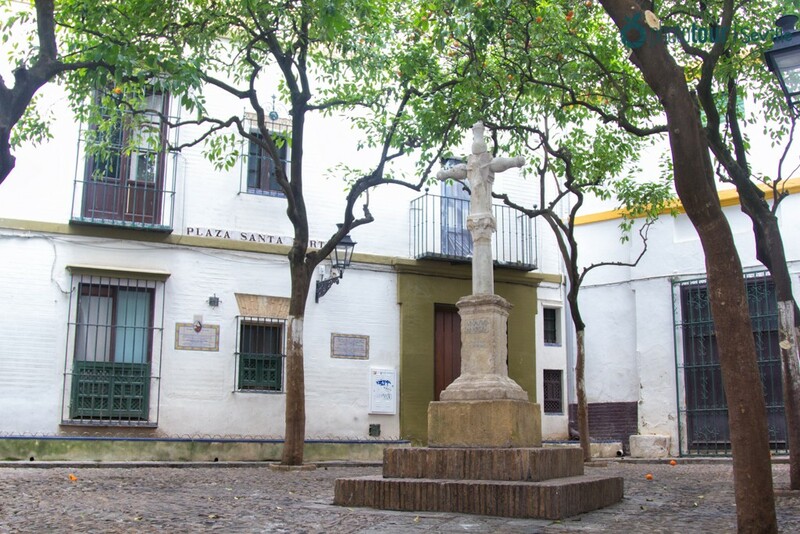 Walking around it streets you will find plenty of narrow passages and charming squares, but if you want to take your couple to an intimate and secret place in Seville that only locals know, then you should visit Plaza Santa Marta! Due to the hidden location of this square, this little “plaza” goes unnoticed by most of the visitors. Even some locals of Seville don´t know about it! This makes Plaza Santa Marta a great spot to spend time with your love having privacy and intimacy. We recommend you to visit it at midnight. You will be probably alone and able to enjoy the time with your couple in one of the most romantic places of Seville. Every good celebration requires to make a wish, but this needs to be asked in a special place in order to come true, right? 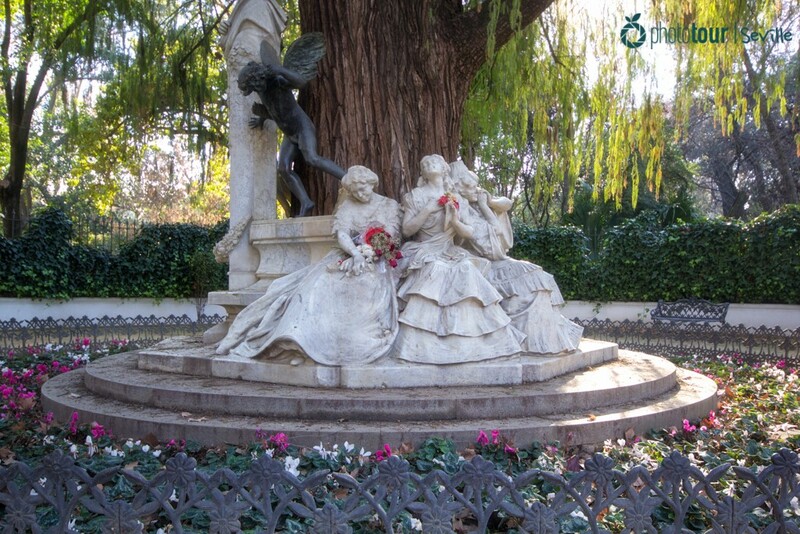 If you want to make your wish in an intimate and romantic place of Seville, we recommend you the Glorieta de Bécquer! Located inside the Maria Luisa Park, at Avenida Isabel la Católica, this square has the characteristic of being below a centenary cypress and having in the middle a sculpture. In the sculpture you will see the poet Gustavo Adolfo Bécquer accompanied by three women who represent three kinds of love: the love that comes, the love that lives and the love that dies. You will also find several benches where you can sit and relax. Take advantage and make a wish with your couple: look at the eyes of your love, then look at the sculpture and close your eyes. Your wish will probably come true! If you want to immortalize your experience at a romantic place of Seville during your honeymoon, we highly recommend you to go see the sunset at Triana. This classic place is one of the oldest neighborhoods of Seville and has the favorite bridge by the couples in love, the Triana´s Bridge. Did you think about celebrating your honeymoon in Seville at the historical Real Alcazar? This palace built in the middle ages offers a perfect combination of different styles (Islamic, Moorish and gothic) that works as a great background for your celebration. You could enjoy your honeymoon at a world heritage place and be witness of the history of Seville. You can visit Real Alcazar during the day and also at night, when you would have the opportunity to attend to the concerts of international bands from all over the world. Get more information about the concerts at andalucia.org website. Have you ever wish to feel like the prince or princess from the love stories? You are lucky: you can do it in Seville! 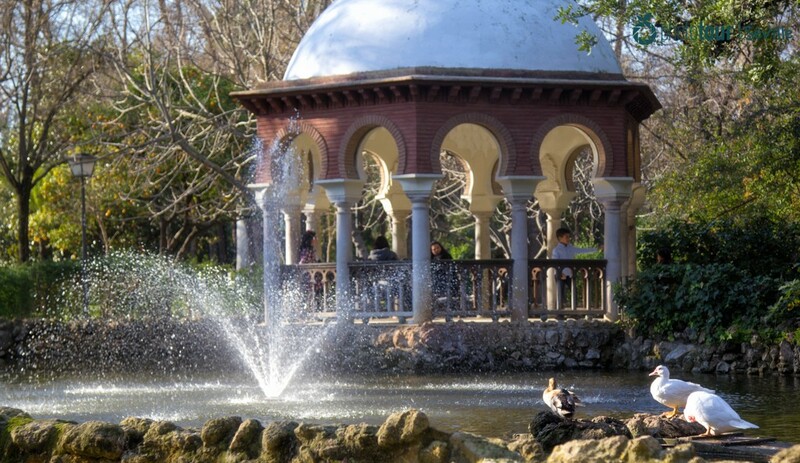 Inside the Maria Luisa Park there is a hidden place that few visitors know. Following Avenida de los Cisnes you will get to a pond that contains an island on it. Inside the island, there is a beautiful balcony with pink arches that will remind you to the balcony of a fairy tale. This Isleta de los Patos has benches inside where you can sit and relax with your couple. You will enjoy your honeymoon in Seville at such a romantic spot, surrounded by singer birds. Did you enjoy our recommendations? We hope you find your perfect place to celebrate your honeymoon in Seville with these suggestions! We also would like to remind you that you can always immortalize your declaration of love with us! Our photo tours in Seville are adapted for everyone according to their needs: marriage proposals, bachelorette parties, family trips and much more! Just drop us a line and let us know when and where you want to perform your photo tour!